CCF’s C100 Business Club held its first quarterly Breakfast meeting for members and invited guests in Truro last week. Chaired by Ian Taylor, partner of Coodes Solicitors, delegates enjoyed the opportunity to meet and learn more about their respective businesses and share the benefits of C100 membership. 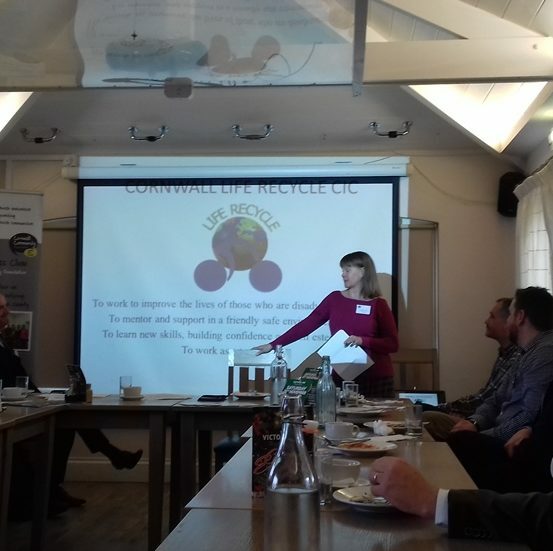 As part of the meeting, Annette Rule and Mike Morgan-Osbourn of Cornwall Life Recycles gave an engaging account of the difference their project, repairing and servicing bicycles, makes to the lives of disadvantaged young people. C100 Club supported Cornwall Life Recycles with funding in 2016.